Welcome to Selle Farm. 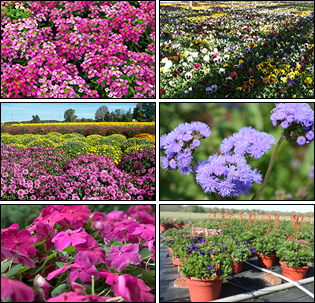 We are a New Jersey greenhouse grower of annuals, mums and produce. We sell our plants as wholesale flats, trays, potted plants and hanging baskets. Our farm dates back to 1902 and has always been a family owned and operated business. Today the farm is run by the fourth generation of Selle’s and continues to grow annually based on business volume and product offerings. Are You Overpaying for Plants?..Someone should take you to the Selle Farm!